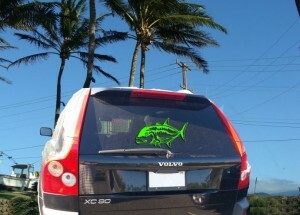 Vehicle decal. Maui Now image. Q: My question is regarding window stickers on the rear windows of vehicles. Vehicle inspection stations are now ordering the public to remove their rear window stickers in order to pass inspection. 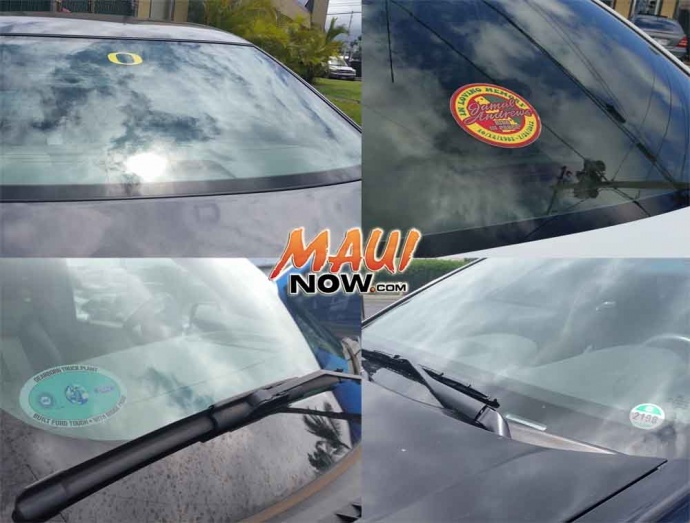 I tried researching the Hawaiʻi State law online regarding this matter, but the only thing I could find were the restrictions and size of stickers on front windshields, not the rear. I talked to a Maui Police Officer and he said that stickers are allowed on the rear windows of pick-up trucks but not on cars. I own a Toyota Tacoma truck and have three small stickers on the rear windshield. They are about three to four inches in diameter, each of them behind rear seat head rests so they do not block my rear view at all. Is this legal? If not, can you please tell me the reason for this law if they do not block my rear view. Thank you very much. A: Thank you for your inquiry. Stickers on the rear window are prohibited by County Code, which is upheld by State regulation. 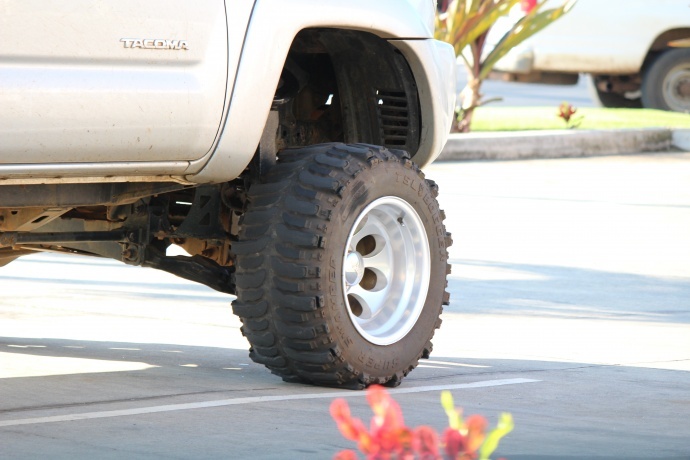 SUVs and light trucks such as your Toyota Tacoma are not exempt. 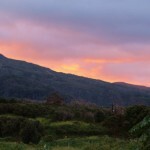 Maui County Code 10.20.420 states that stickers, posters or opaque signs front windshield must not exceed 24 square inches in total area, but stickers, posters or opaque signs of any description are not allowed on the rear window or windows. Signs or stickers on the front windshield must be placed only in the lower right-hand corner, as seen from inside the vehicle. 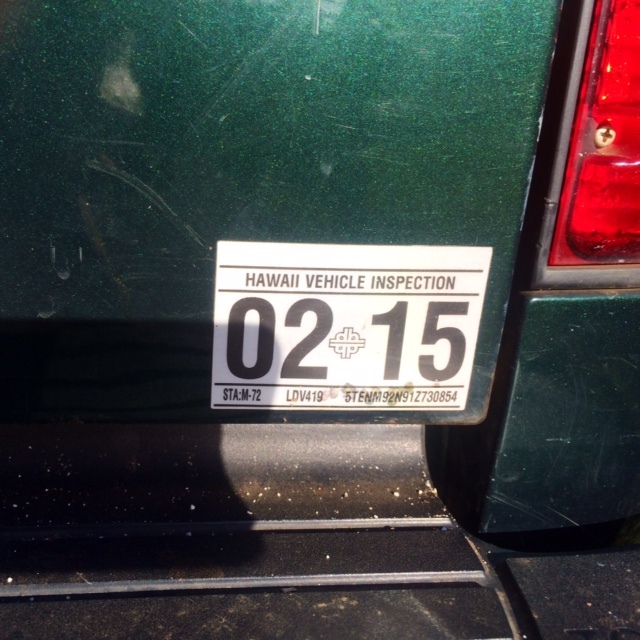 The State Department of Transportation’s manual for inspectors of passenger cars and light trucks specifies that the vehicle should fail inspection if the glazing has a decal or sticker that does not comply with county Ordinance. 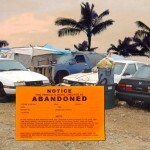 Ordinances differ from county to county, and no historical basis was available for Maui County’s law.